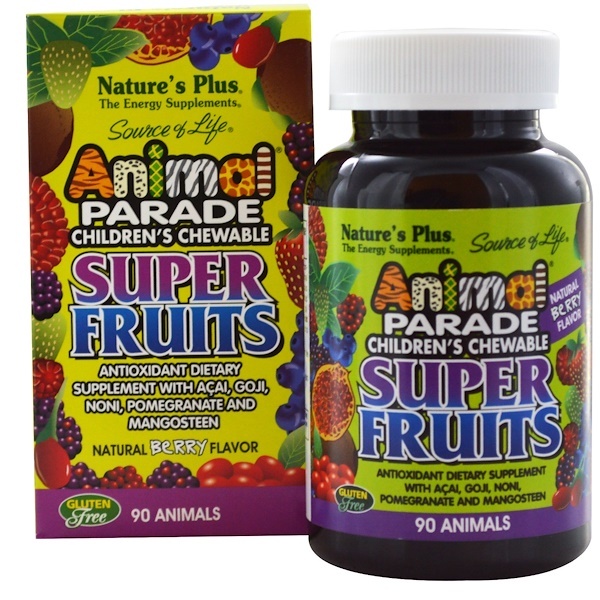 Source of Life Animal Parade Chewable Super Fruits combines, the amazing antioxidant activity and unique nutritional benefits of the world's greatest superfruits in one luscious mixed wild fruit flavored chewable! Featuring standardized extracts of health-promoting fruits mangosteen, noni, goji, acai and pomegranate, Animal Parade Chewable Super Fruits delivers a precisely calibrated profile of specialized nutrition to help support children's overall health and well-being. 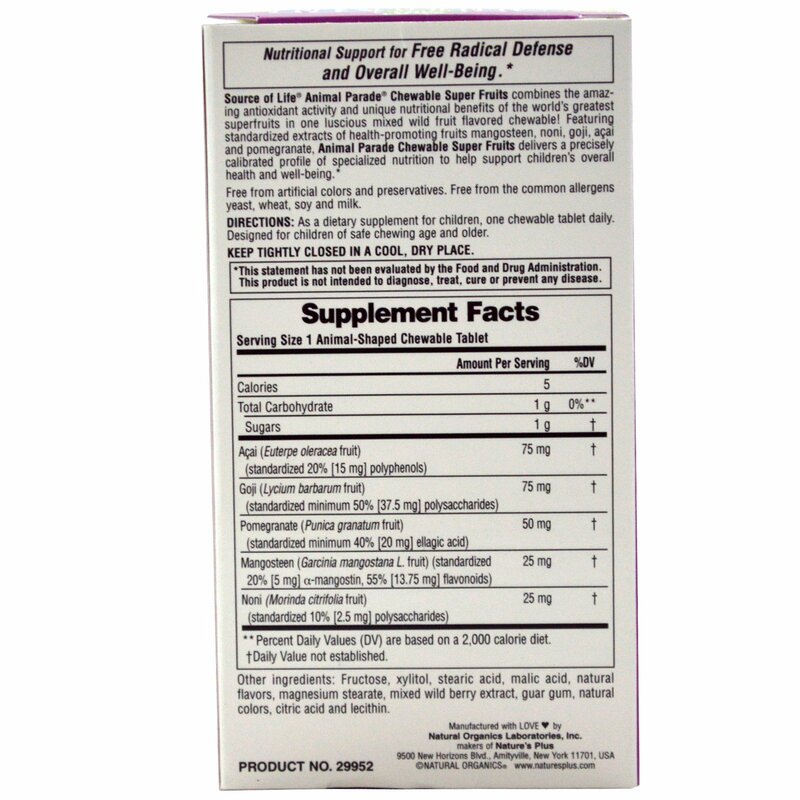 As a dietary supplement for children, one chewable tablet daily. Designed for children of safe chewing age and older. 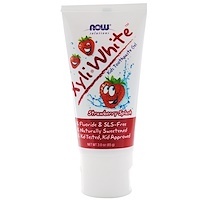 Fructose, xylitol, stearic acid, malic acid, natural flavors, magnesium stearate, mixed wild berry extract, guar gum, natural colors, citric acid and lecithin.